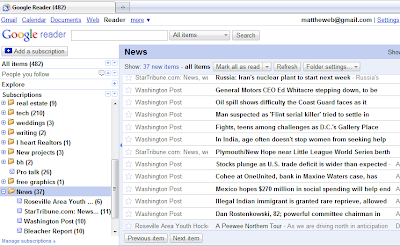 It seems like all my posts lately have been about Google Reader in one way or another. So let’s keep it going! Just a small observation today: when reading posts in Reader, all posts are presented in the place and in the same way. That’s a good thing for info-holics but it can also be dangerous. For the most part, the text formatting, professional graphic design, additional content and the overall ‘feel’ of the source site is stripped away in Reader leaving you with just the article itself. That’s great for avoiding distractions, especially when you don’t have to contend with mortgage ads or the dreaded auto-play videos that some sites insist on using. But some of those things (professional layout, the content that surrounds the article, etc) are indicators of authority that you just don’t get in Reader. 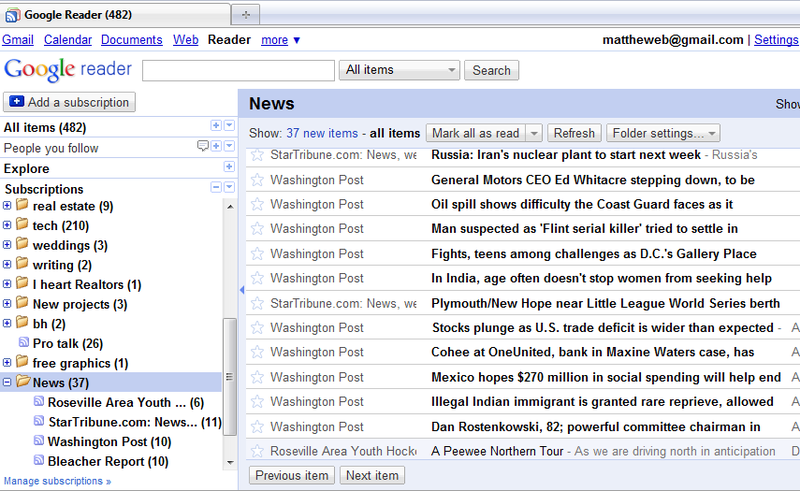 If you’re like me, you organize Reader feeds using folders. That puts all of your sources for news, which have varying levels of trustworthiness, in the same place with very little to distinguish between them. In Reader, all sources are presented equally. That’s good news for small publishers or business that offer RSS feeds – your content will appear right alongside the big time news outfits. It’s dangerous to consumers who are digging through a large volume of news in Reader. Without a good mental filter, it’s easy to take in all of that information as if it’s been reviewed by an editor and appropriately vetted when in reality it can come from any rube with a laptop.